Brenton Tarrant, 28, faces one charge of murder over Friday's massacre, but police have said further charges will be laid. 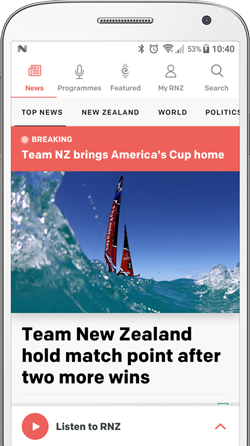 RNZ chief executive Paul Thompson said the organisation would have "really strong editorial controls" in its court coverage, focusing on the key legal aspects of the case. "Just because someone's representing himself, perhaps, and makes a three-hour opening statement, you don't have to cover every word of it," he said. "It's no good if some of us exercise that restraint and other outlets don't," he said. Stuff editorial director Mark Stevens said the organisation's senior editors would discuss its coverage of the court case closer to its arrival, but he was open to talking with other outlets about a collective approach. "We all report for different platforms and there are different requirements, and of course each of those editors will want to make their own decisions, but we're certainly open to a discussion within the wider industry." 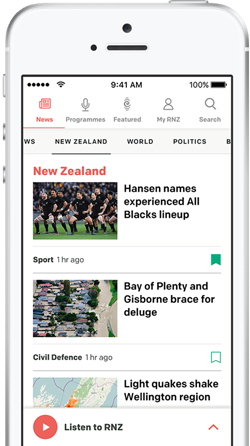 "Newshub is open to an industry-wide set of guidelines for reporting on Tarrant's trial, and we are in discussions with other newsrooms," he said. The Media Freedom Committee chair Miriyana Alexander said there was "real merit" in newsroom leaders having a group conversation about their coverage. But Ms Alexander - who is also the New Zealand Herald's premium content editor - said ultimately each newsroom would decide for itself what was appropriate. "Different publishers have different needs and requirements for their coverage," she said. "Time will only tell how far editors are prepared to go in agreeing on something." Prime Minister Jacinda Ardern has pledged never to use the accused gunman's name in a bid to deny him any notoriety. "He is a terrorist, he is a criminal, he is an extremist, but he will, when I speak, be nameless," she told Parliament. "And to others, I implore you: speak the names of those who were lost rather than the name of the man who took them." All New Zealand's major media organisations have named the accused gunman in their coverage, but some are now reconsidering their approach. Mr Stevens said, from now on, Stuff would be dialling back on naming the accused shooter. "We will avoid naming him where we believe we can and should," he said. "We've been very careful not to give this guy a voice ... we think that now it's appropriate that we have told our audience and community who this guy is not to continue giving him that kind of status. Mr Thompson said RNZ would continue to use Brenton Tarrant's name in its coverage, but only when it was material to the story. "1 NEWS has used the alleged Christchurch gunman's name sparingly in our news reporting. Our focus has been on the people across New Zealand whose lives have been impacted, not on identifying this individual." The accused mosque shooter is unlikely to be able to use his court trial as a platform for his political views, criminal and media law scholars say. If Brenton Tarrant is not charged under the Terrorism Suppression Act, it is hard to see when it would ever be used, a legal expert says. Opinion - New Zealand's Prime Minister has already publicly called this evil by its true name, but how will we respond as a society, asks Andrew Geddis.